Wow, these cups look awesome! 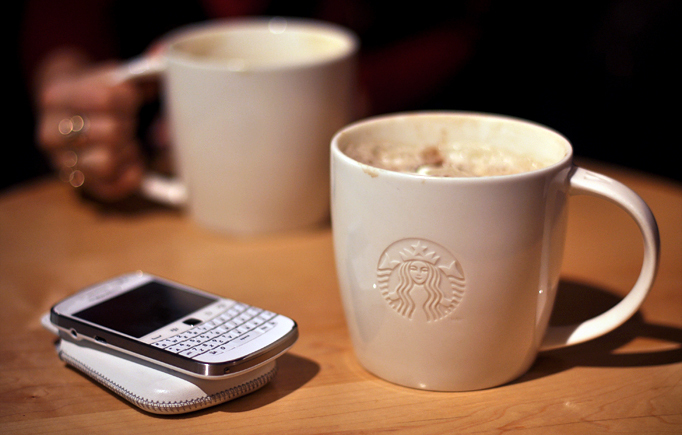 This is white Blackberry? I think I have the same :) And of course I can't wait for new post! cant wait for new post! and I adore starbucks! Cant wait an these image is amazing! this photo is so cute and warm!! What a cool mug! Love the pic. Oh I need one of those right now! Thanks guys! Sorry for taking a little longer than I planned! Ballerina's Bun: tbh I did try it just a while ago and I wasn't impressed, too bitter for me :-) I think I prefer Toffee & Nut one out of the three! Anon: not sure about the model, I think it's 9900? It's the most recent one, with touch screen. I like your mood set in white and red...the holiday season is a lot of fun and meeting friends and sporting good and spirited looks is the other fun bit of it.